Perfect for groups of 12 or more! 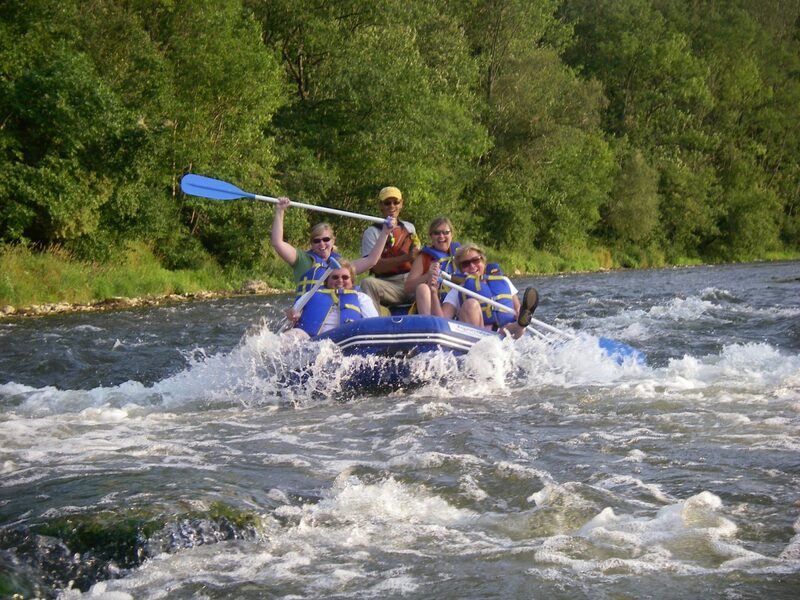 Early Spring the Nith River by Paris comes alive with mild class 1 to 3 rapids creating a fun experience for adventure seekers of all abilities. 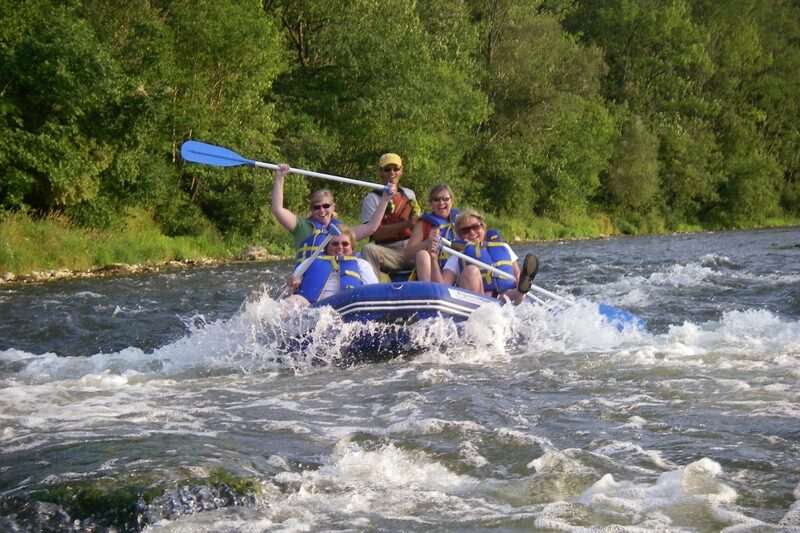 Celebrate Spring with your group of true Adventurers on our Whitewater Rafting Group Trip, a full adventure package, led by awesome guides averaging ten years experience guiding on the Nith. Your seasoned guides will share their experiences plus tell legends they’ve uncovered of communities lost in the forest, an ancient Native Battle & a tale of the outlaw Jesse James hiding out along the Nith in Mudge Hollow. Enjoy the experience as your guide shows your group how to paddle their rafts down the river like pro’s while spotting Red Tailed Hawks, White-tailed Deer and huge Beavers swimming like dolphins in the strong current. – Our own Outfitters Shop, warm private place for changing i. & out of gear. If you don’t have a private outfitters base plus all the safety & comfort gear, it won’t be a Grand Experience. What To Bring: Dress in layers, avoid cotton. use synthetic fabrics, i.e. nylon jacket, fleece or wool sweater. hat, footwear that can get wet as self bailing Rafts often have water in the floor. Bring dry footwear & clothes for after the trip. Waterproof bag is a good idea or leave electronics with our shop staff. Lanyard for eyeglasses.